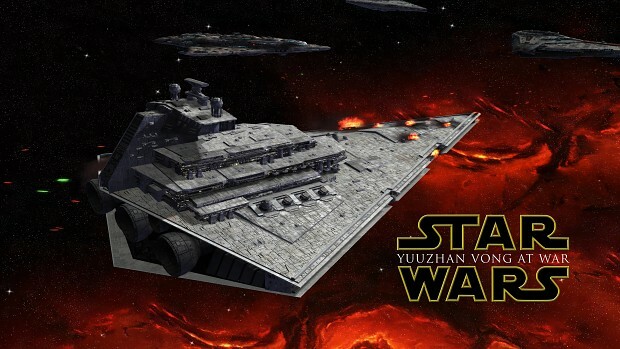 The Yuuzhan Vong at War Mod got an honourable mention in this years Best Upcoming Mod of the Year Awards and did so in 2016 in a similar category, so what is all the fuss about? 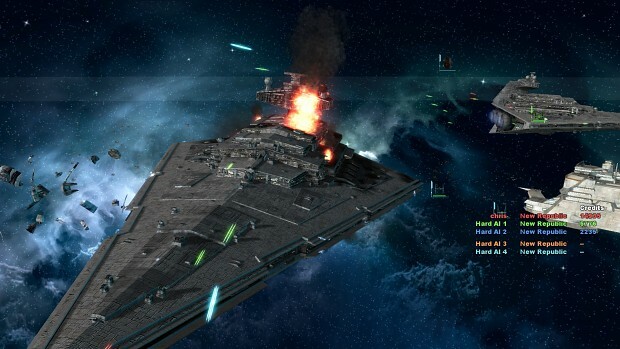 The mod looks to bring a new era into the game, one talked about in Star Wars lore as being the greatest threat to the galaxy, we see Grand Admiral Thrawn mention it several times in the books and it brings genuine fear that a threat so large can come from the Unknown Regions that could destroy the entire galaxy. The mod is looking to be released as some point in 2019, with various stages of releases to accompany the different elements of the mod, it's a refreshing approach from the development team to release in stages and focus on the elements of getting those right whilst working on the larger incremental updates. The Aftermath mode is a unique and exiting experience. You are the commander of a crippled battle cruiser that was left behind after a fleet engagement. Your job is it to not only protect the beings under your command but go even further and get your ship back up and running. Resources are scarce and limited, and you’ll have to send out your transports to gather resources from debris fields and wrecked ships on the battlefield. Once you started to scour the battlefield for scraps and debris, you will make a scary discovery: It’s not only your ship that was left behind. An hostile battle cruiser suffered a similar fate, and its commander is trying to repair the ship as well. This is the moment you will enter into an arms race and whoever manages to repair the ship first will have the fire power to defeat the enemy once and for all. The mod even has its own technology upgrade structure which it has aligned to the Yuuzhan Vong war which lasts five years, aligning it with that makes much more sense and each faction will upgrade differently according to their own characteristics by lore. More information on the technology upgrade can be found on their Mod DB page here. The mod also features updates to the galaxy map and adds realism and authenticity to it, it also adds in a concept of "nav points" they allow for re-routing during the longer hyperspace routes. So with all these exciting changes to the gameplay mechanics, new factions too, and adhering to the lore that captures the imagination of most Star Wars fans it is no surprise why this mod was an honourable mention for best upcoming mod category.We expect great things here! If you want to get the latest updates for the mod make sure you stay tuned here and also visit their website and their Mod DB page.